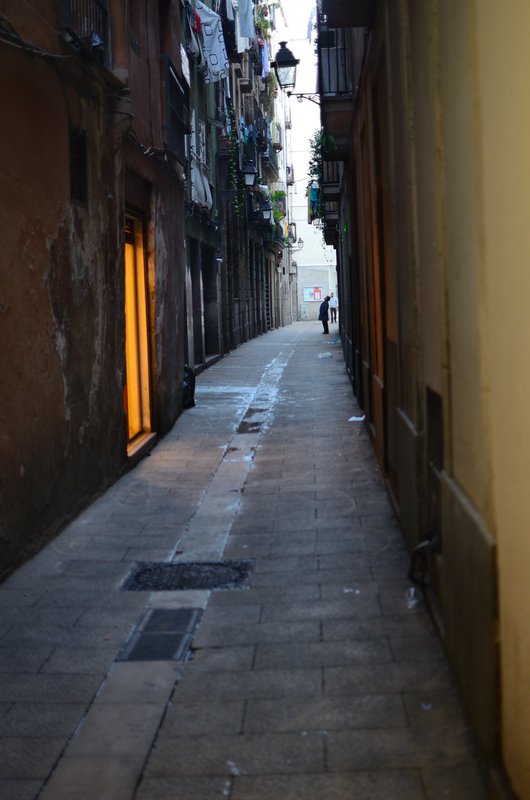 It is easy to walk down the streets of Barri Gotic and get lost in time. Discovering narrow alleys along the way and contemplating how the perspective drawn by the lines of buildings lead your eyes into small figures that come and go, is certainly one of the most pleasing experiences for travelers that want to avoid the obvious touristic routes in Casc Antic (old city), Barcelona. I love these old narrow streets / they have such character and charm.